This is just a bookmark so I can find it later. But if you find it useful, great. In my review of the Golden Compass movie I mentioned a couple of the cool knitted garments that showed up in the movie. It also appears you can buy a reproduction of the sweater. 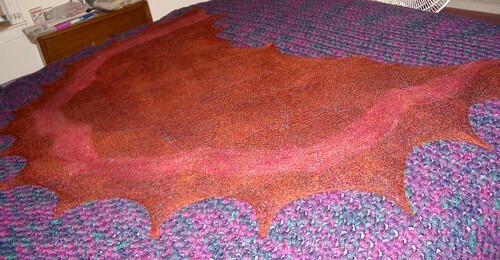 Adapted from the top down hat pattern in Barbara Walker's Knitting from the Top. Reversible. One side has an I-cord "stem". The fur and dk part is stockinette; the part with dk only is 2x2 rib, with a stockinette edge.